For much of my childhood I’ve always had a subscription to a motorcycle magazine. Cycle World dominated a lot of my teenage years. 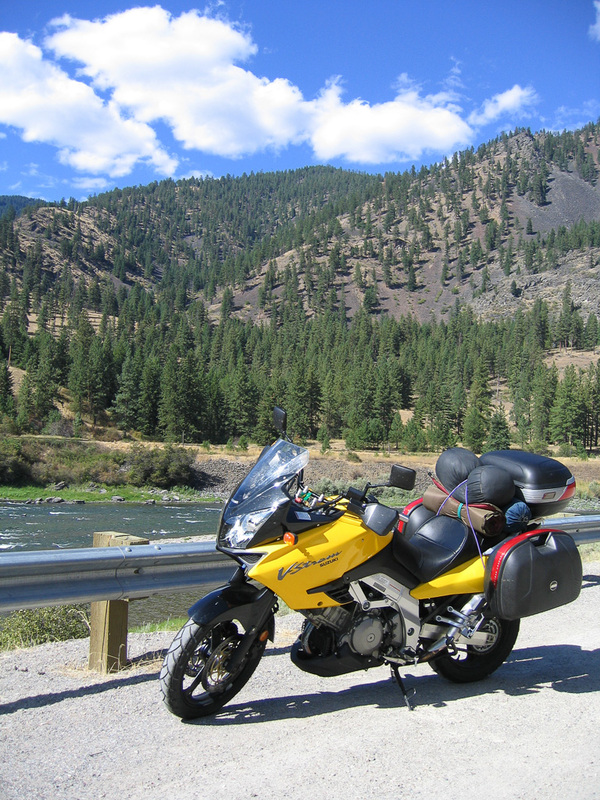 As I started to do more touring on my motorcycle, my subscription shifted to Rider Magazine. 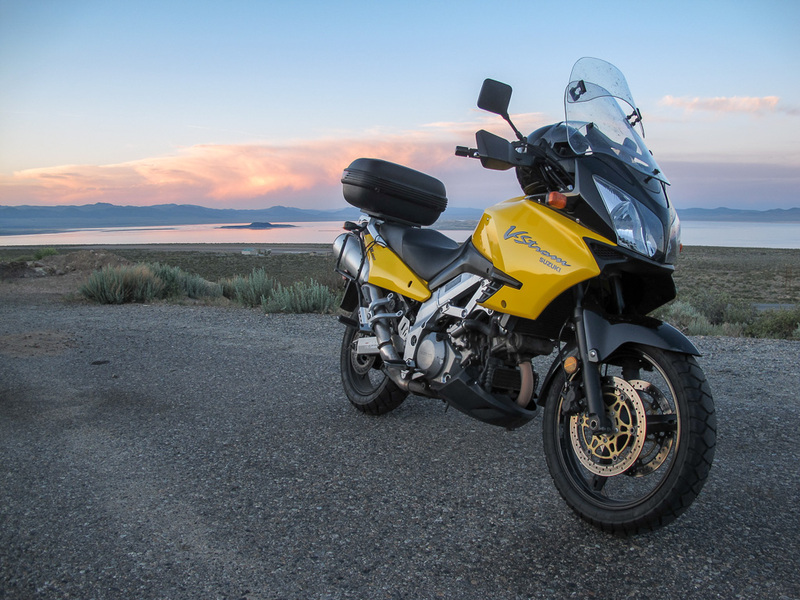 Every year each motorcycle magazine has their own “motorcycle of the year.” Rider Magazine featured the V-Strom as their “motorcycle of the year” in 2002. I remember making a mental note, “oh, that’s interesting,” but not much beyond that. 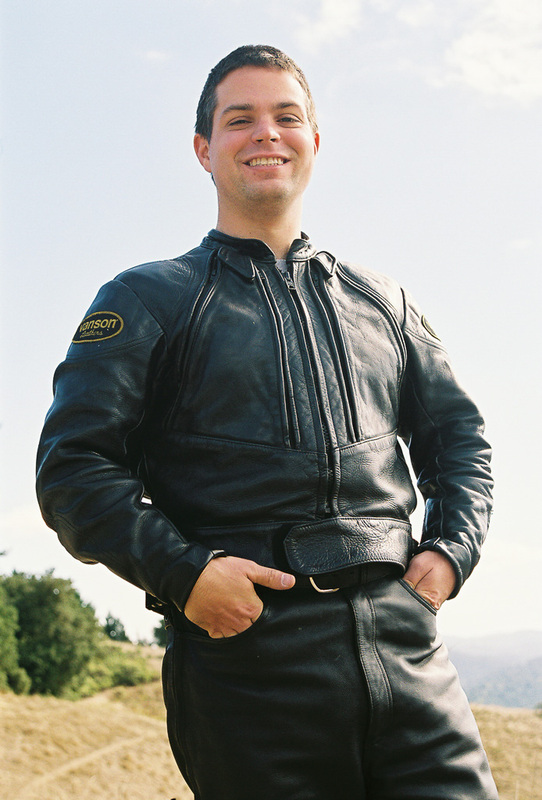 To quote Sofia from the Golden Girls: “Picture it – San Mateo motorcycle show.” The year was 2003. 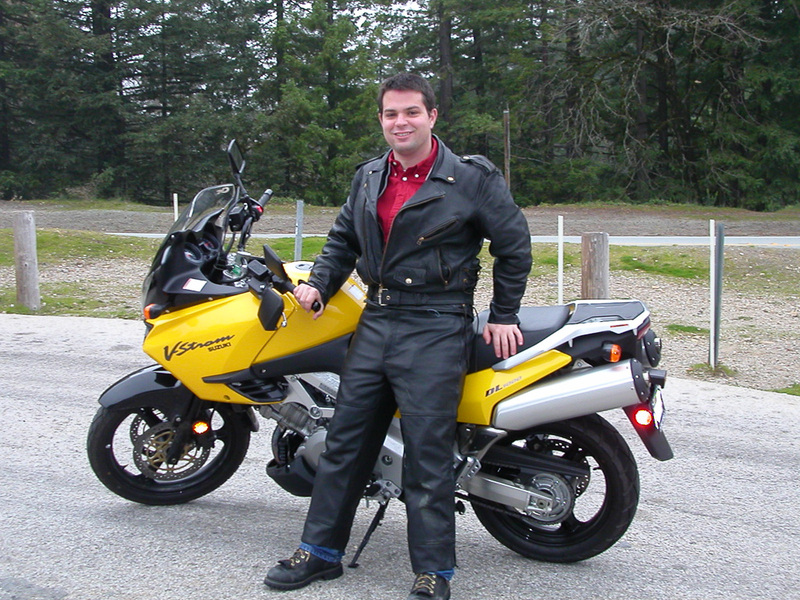 I remember coming upon the V-Strom at the show and my jaw dropped. The bright yellow color, the aggressive, adventure tires, the full luggage set up on the circular display had me hooked. I knew I found my next motorcycle. The Vulcan had a number of issues that caused me to lose trust in the bike. The regulator/rectifier went bad. The bike had a number of fuel delivery issues. 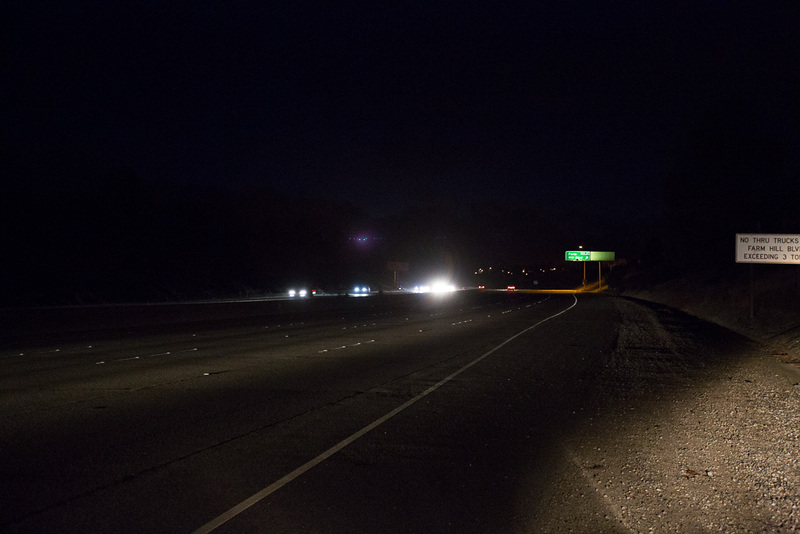 Finally, the whole bike died heading north on Interstate 280 in the freezing cold. At that point, I’d had it. It was time for a new motorcycle. 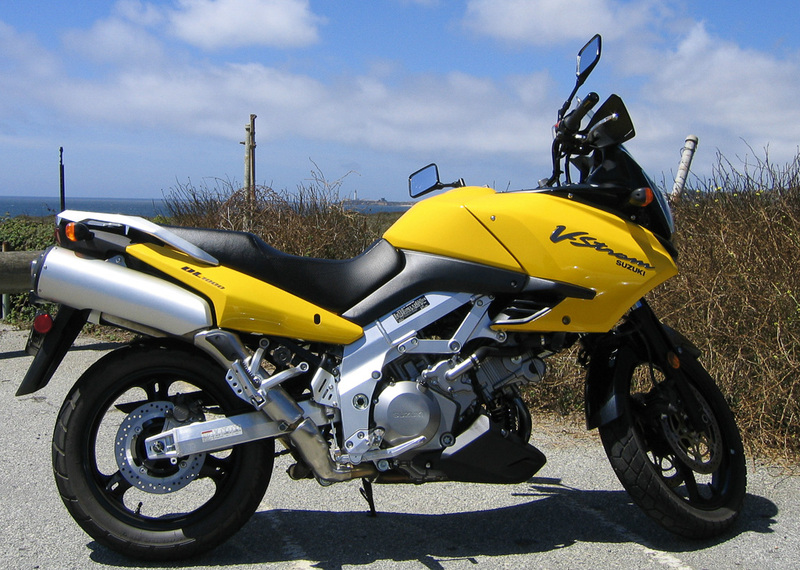 The V-Strom was at the top of my list along with Yamaha’s FZ1. 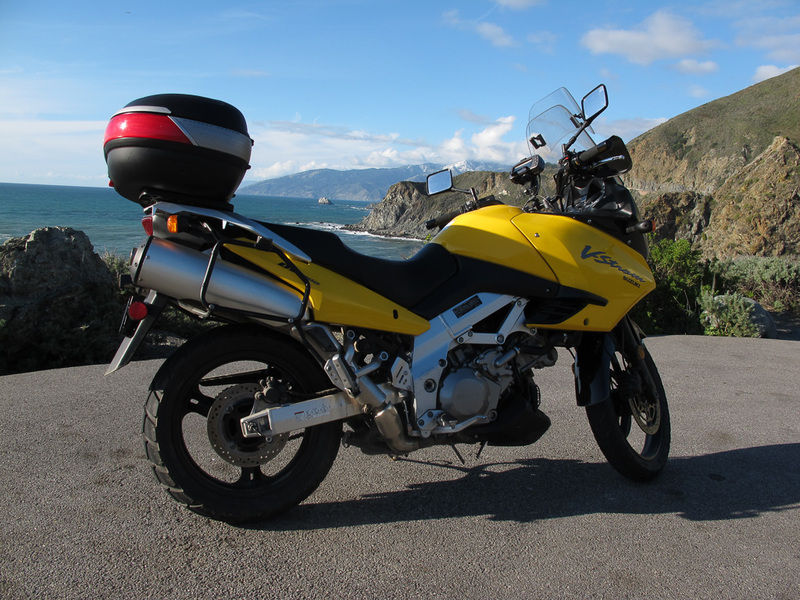 The problem was Suzuki made a major change to the V-Strom in 2004. Suzuki added a 650 cc model that had an adjustable windscreen, antilock brakes, and was a more efficient bike overall. 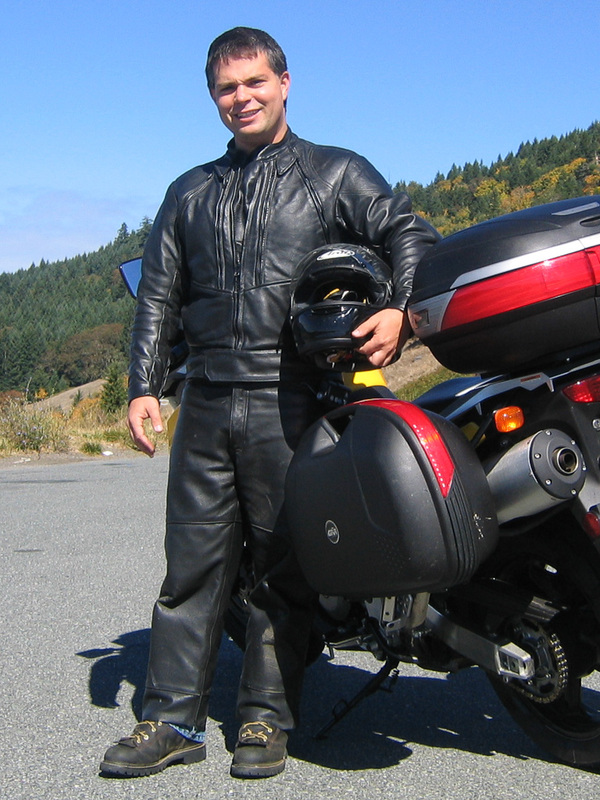 In the end, “hot” won over functional and I was the proud new owner that began the next chapter motorcycling in June of 2004. From the first let out of the throttle, I knew this motorcycle was an entirely different beast from anything I’d ever ridden. The controls were much more sensitive than the cruisers of my past. The bike was big. The bike was tall. I knew I had quite a bit of bike to grow into. I spent a lot of time those first few months re-riding what I already knew: central expressway and the Santa Cruz Mountains. 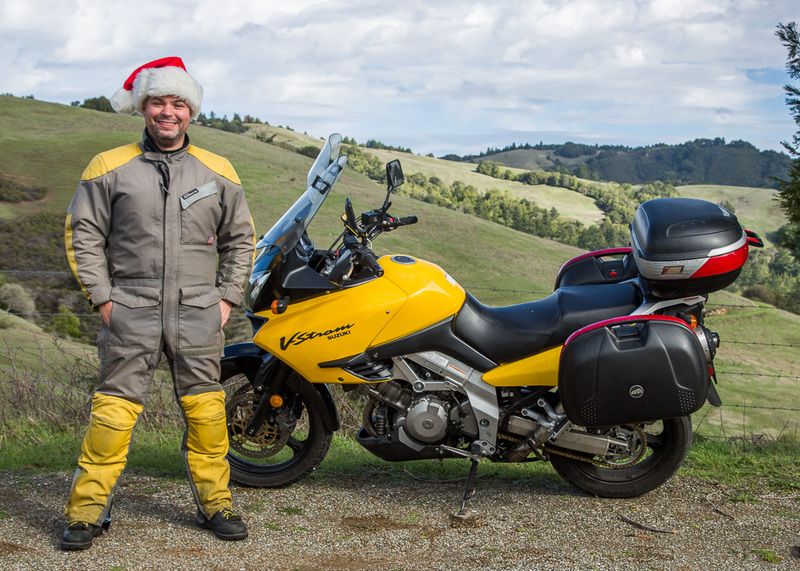 The V-Strom rode very differently than the Vulcan, and I needed to adjust to those differences. I remember riding down the freeway here having immense shoulder pain. 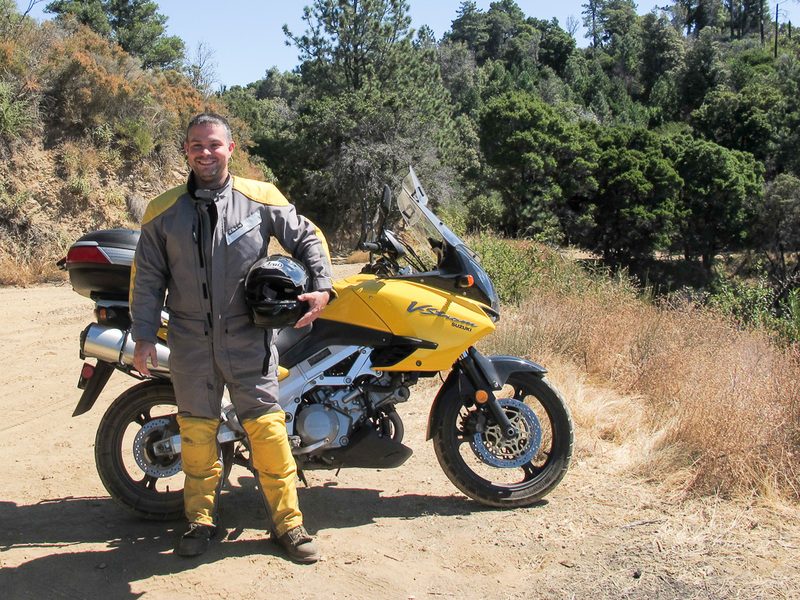 I struggled and wondered if I had just spent $9000 on a motorcycle I couldn’t ride. Fortunately, the Internet is a wonderful thing. Other riders had the same issue and suggested bar risers which fixed the issue. We were back in business! Right off the showroom floor! Bike has 4 miles! 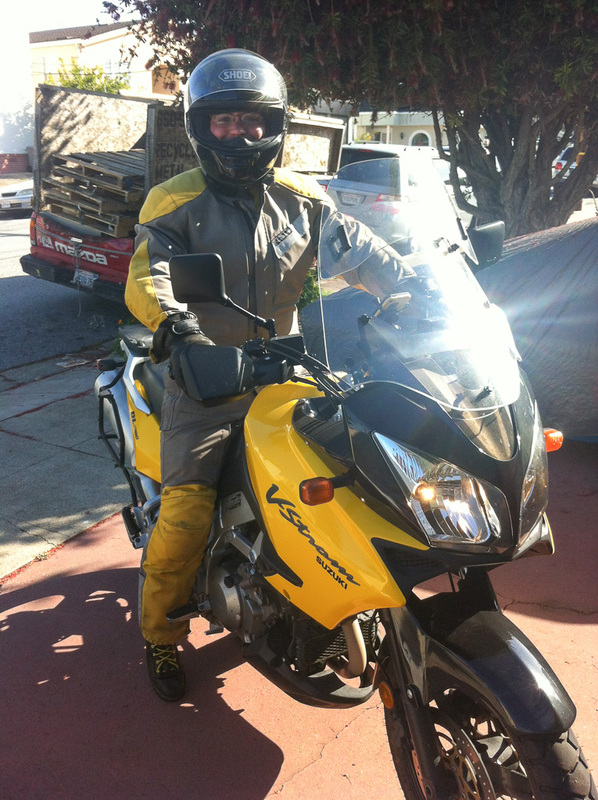 The V-Strom and I were starting to feel more comfortable with one another. I was regularly riding around the area and growing into the larger bike. 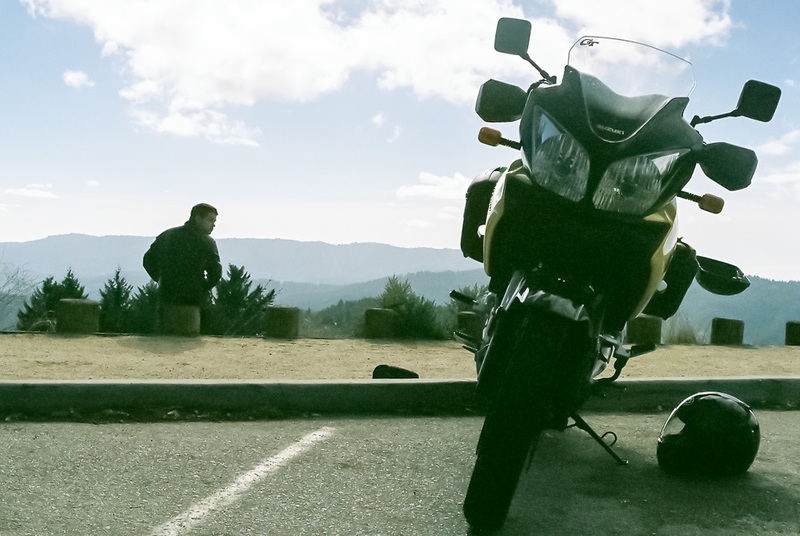 There were a couple of times that gravity got the better of me and the V-Strom got a parking lot nap. The only real damage was my pride. Macromedia had an amazing corporate benefit for it’s employees: sabbatical. After four years of service to the company employees were eligible to take a six week sabbatical. It was also the start of this blog. I needed a way to communicate to family back east and friends back home. There was definitely anticipation on all sides as I hadn’t ridden as far or as long as I would be going on this trip. 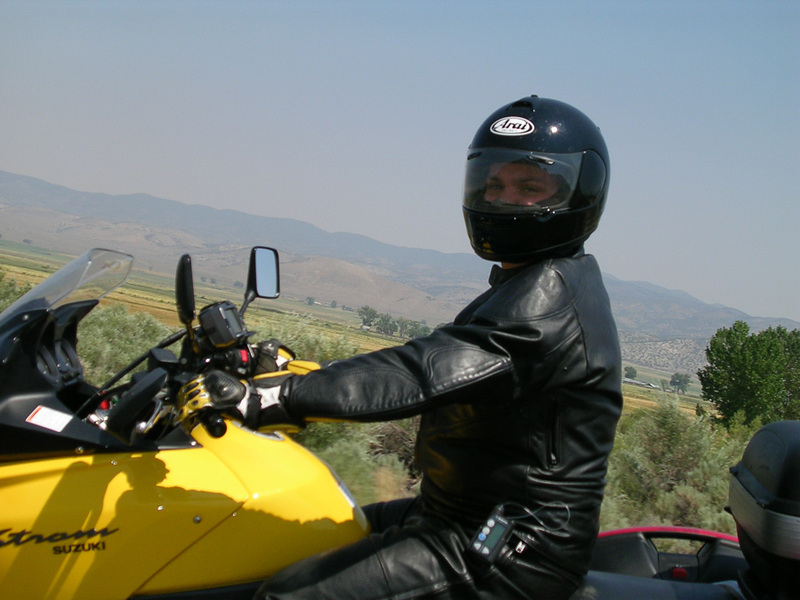 In many ways I was upleveling the adventure in motorcycling. 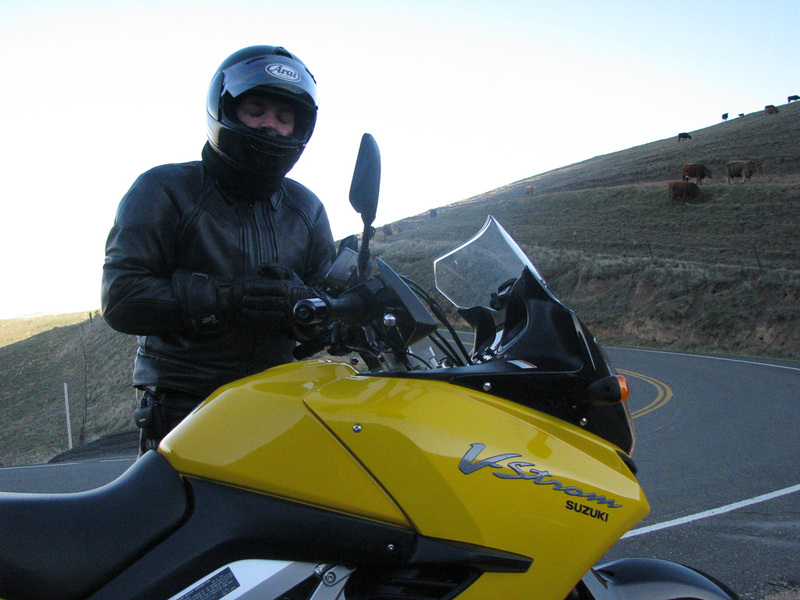 2005 was also the first year I started regularly riding with a passenger. 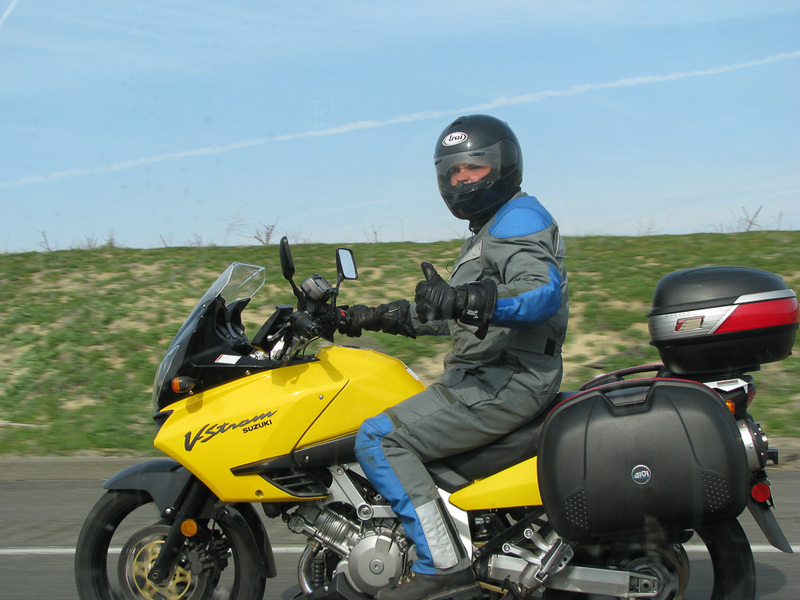 Riding with the passengers it teaches you a lot about motorcycling. 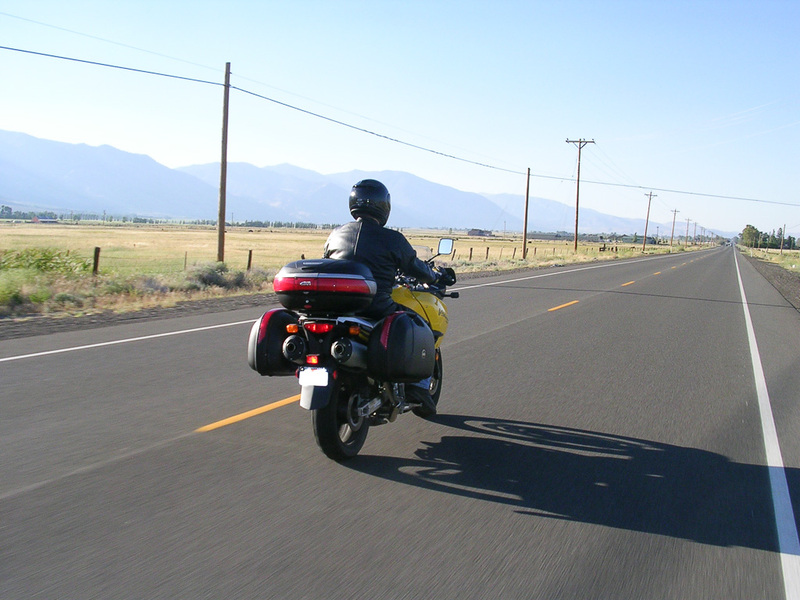 It it requires significantly more of the rider to ride the bike, educate the passenger, and balance two people on the motorcycle. 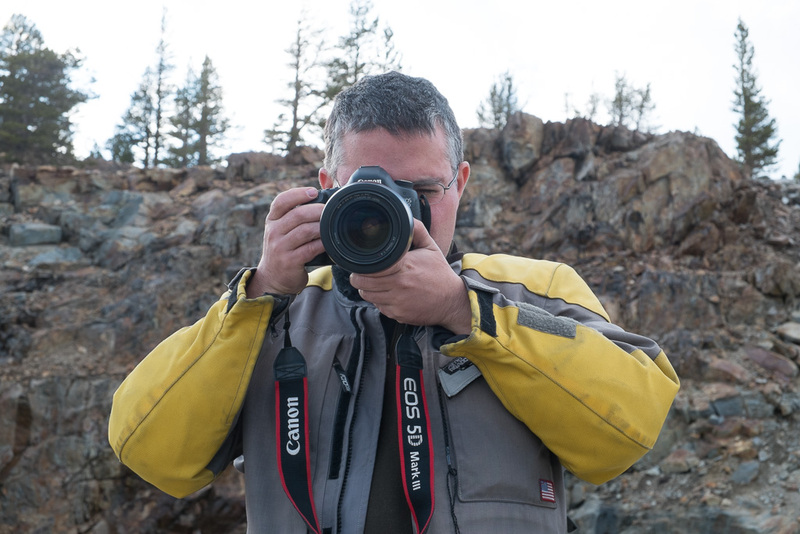 Anel and I started riding together in blended both of our passions of photography into the ride. 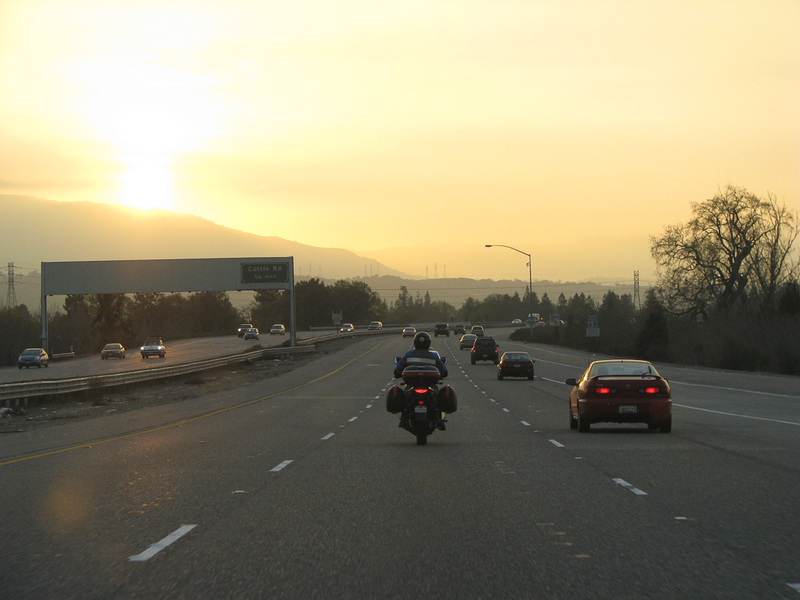 One of my favorite photographs in all of motorcycling came from one of our first rides up highway 9. I love the bike’s strong presence in the foreground and me in the background. Headed out for 6 weeks of adventure. Priest Lake is one of the most beautiful places I know. Loving my new Vanson Jacket! First dirt road outside of Seattle. Shameless photo taken for match.com. I never ride in collared shirts! 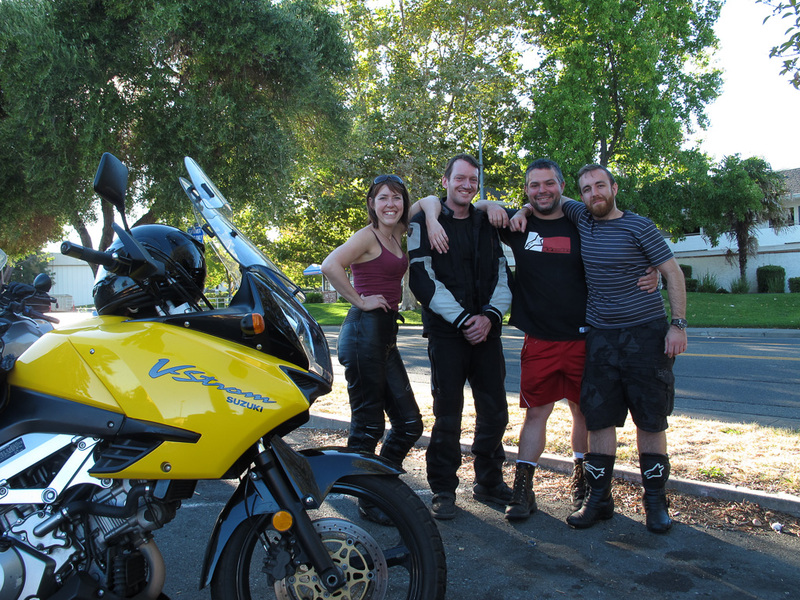 One of the things I really enjoyed about the Vulcan 750, my first motorcycle, was a local rider’s group in the area. 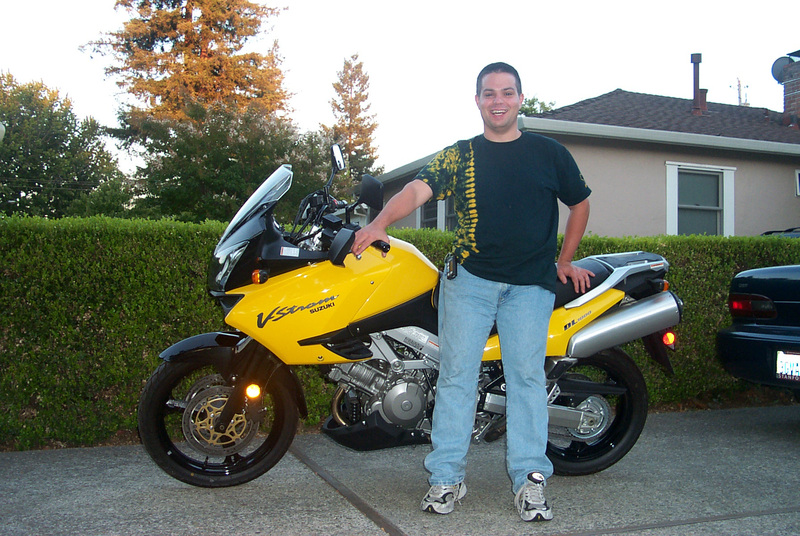 The Vulcan rider and owner’s group was based here in the bay area and provide you a lot of good context for me as a new motorcycle rider. 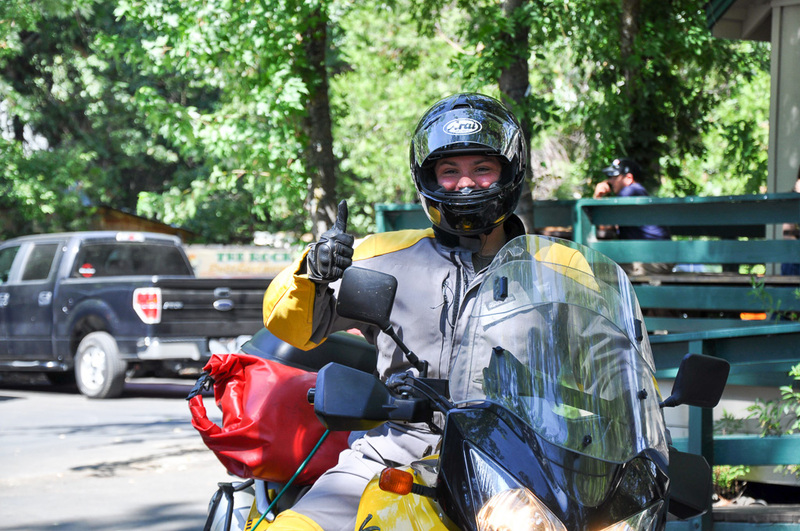 There was no V Strom’s riders group in the area but fortunately, John Austin of Reno was an enthusiastic rider. He organized the first V Strom rally I ever attended. The Reno event was great fun and provided incentive to attend the next three rallies. Moving from Georgia to California one of the things I missed about home was fall color. Here in California we really only have two seasons: the wet season in the dry season. I missed seeing the bright yellows, reds, oranges clearly marking the presence of autumn and foreshadowing the coming of winter. I’d heard there was fall color up in the Sierras. Riding the mountains in the mid fall I thought meant significantly cold weather and pushed me over the edge to buy heated gear. That purchase was one of the best investments I made an motorcycling. The fall colors were great and birthed a new tradition for me. It turned out I didn’t even need the heated gear until I got almost home and froze due to the deep fog coming into the Bay Area. “The spot” on CA-88 that has pretty mountain peaks! Fall color brings fall cold! I’d heard so much about the Big Sur coastline. 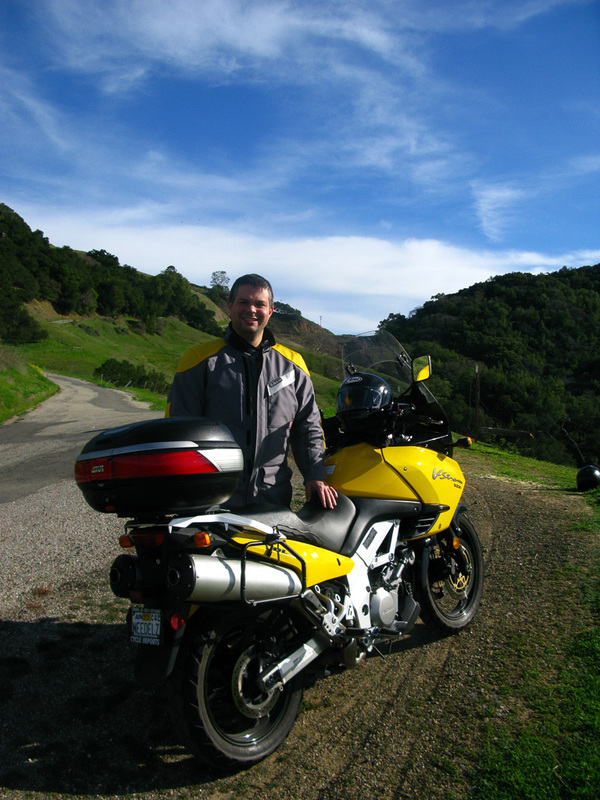 People would laud it it’s 90 miles of twisty motorcycle bliss between San Luis Obispo and Monterey. For some reason I never road further south than Big Sur. This year however, on a perfect weekend in early May I experienced motorcycle nirvana. It was great, truly great, to see the redwoods, the cliffs, the curves, and the smooth pavement between those two cities. It’s a ride I hope that every motorcyclist has a chance to do. By 2007 a new change was in the midst. 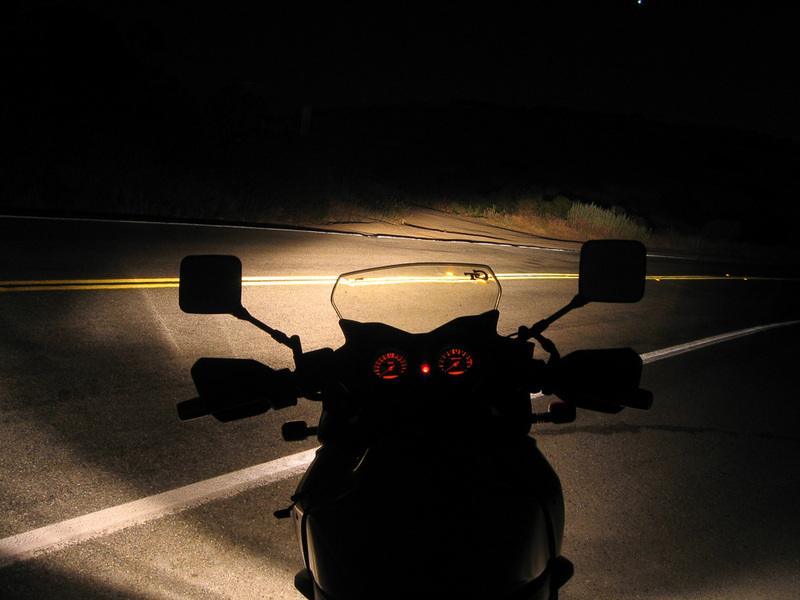 I loved to ride at night. In particular, the Skyline Hills. With a full moon the landscape lit up beautifully. I started a number of night rides with the South Bay Rider’s group. 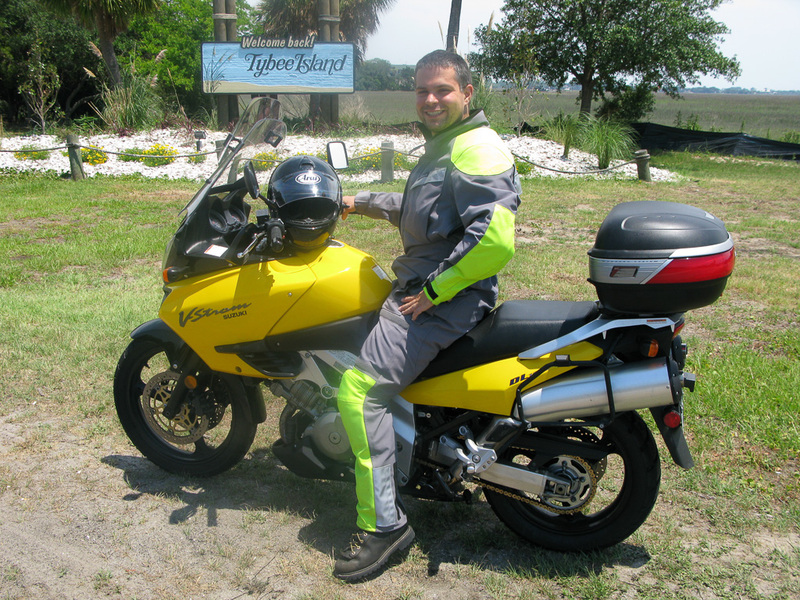 I was also really enjoying touring by motorcycle. 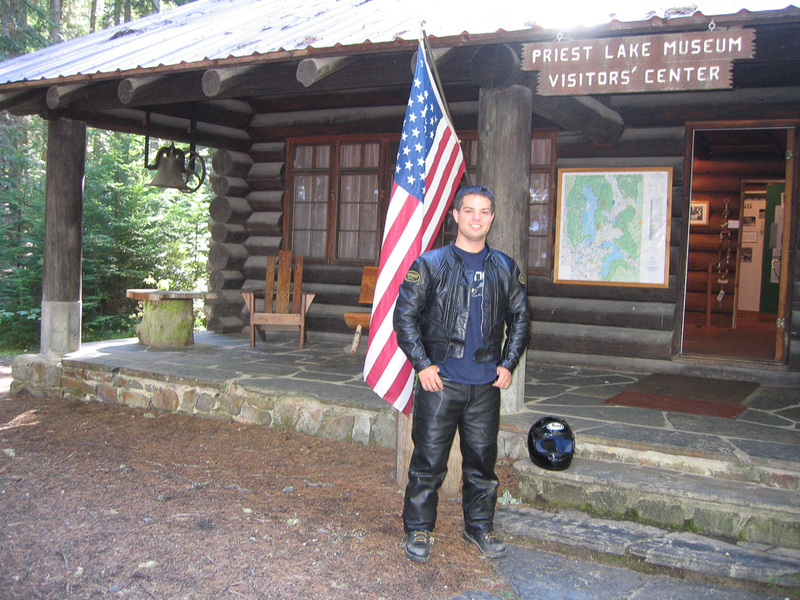 Taking a weekend, going out into the woods, and enjoying the environment with my motorcycle. It became important to me to not only share, but enable other riders to come along in that experience. About that same time I had the fortune of meeting Mike Zeminsky who helped me put on “our yearly ride.” The goal was to provide an entry-level ride where we wouldn’t leave anyone behind. We wanted to be the first step beyond a simple morning ride. That year we enjoyed Lake Tahoe, found amazing barbecue in Walker, California, and had great stories to tell on our return. There would be a second year. This year also began a new tradition of traveling by bike a long distance alone. It was a time for me to clear my head and reset with the world. It has become something I need to do on a regular basis. 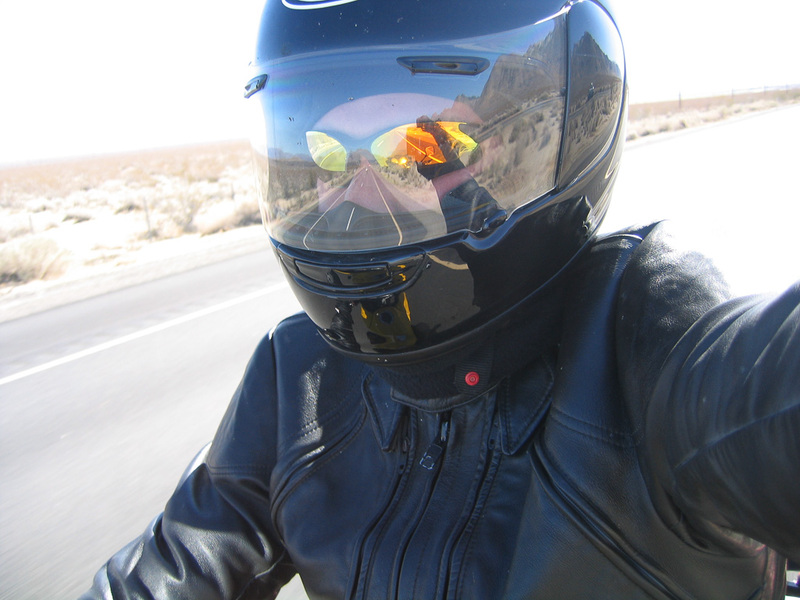 Motorcycling is one of the most important ways I clear my head. 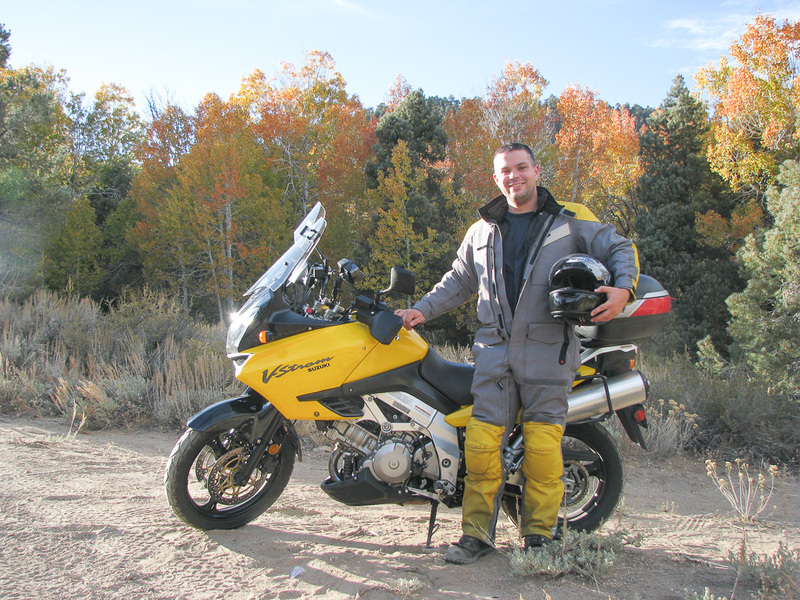 I was ready to take my next step in motorcycling: multi-day group ride that I didn’t lead. I’ve always had a background question in my mind “do I ride fast enough for the group?” that just about every rider has. 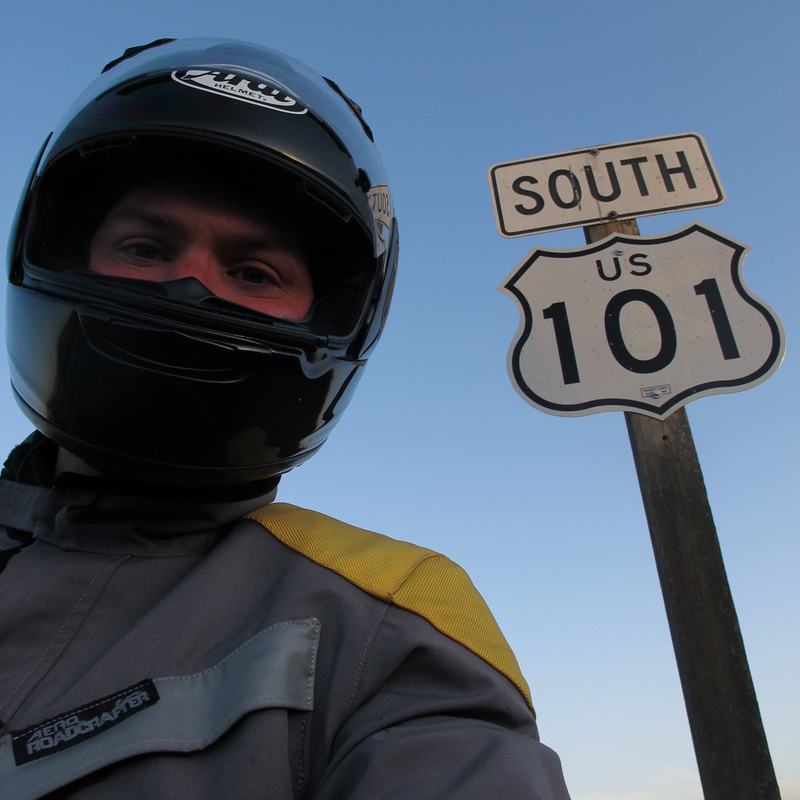 The last day of the ride was also a 500 mile journey back home – well above what I was used to. Someone throwing prudence into the wind, Death Valley was on! It turned out to be an extraordinary weekend learning a ton about motorcycling, my limits, and the camaraderie of people around me. 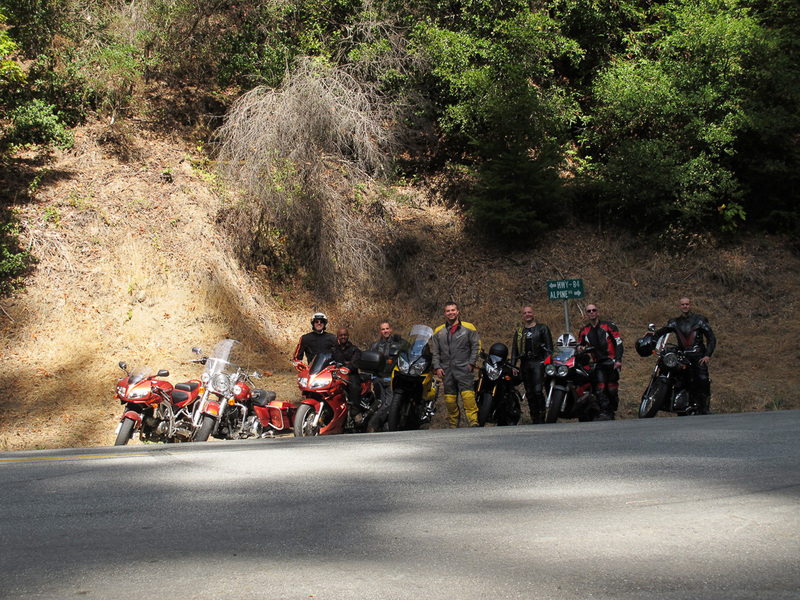 The annual Mike and Dan ride took us to Kings Canyon in early October. This was the first time I’d ridden in cold, wet weather. Coming down highway 99 the skies opened up on us and it started pouring. The rain continued into the western foothills. It was wet. It was cold. But we were in it together. The 10 or so of us were in it to win it. The higher in altitude we got, the worse the weather got until we broke free of the clouds. The view from Moro Rock was truly outstanding. The fall colors tradition also continued. Four of us headed up into the mountains in search of “Sierra gold.” The aspens in the fall turn a brilliant bright yellow that’s intoxicating. Another one of my favorite photos comes from this trip on a dirt road near Benton Crossing Road. Just before the photograph I almost lost the bike in soft sand but was able to muscle it back to perpendicular before losing my pride. Reaching the eastern side of the US! At the beginning of the year on an innocuous ride up to the top of Mount Diablo, I got my first flat tire. Fortunately I had a patch kit and trial by fire taught me how to use it. After almost dropping the motorcycle in soft sand last year, it was time to learn to ride a dirt bike. I jumped in with both feet on the annual beginner ride out in the dirt at Hollister. 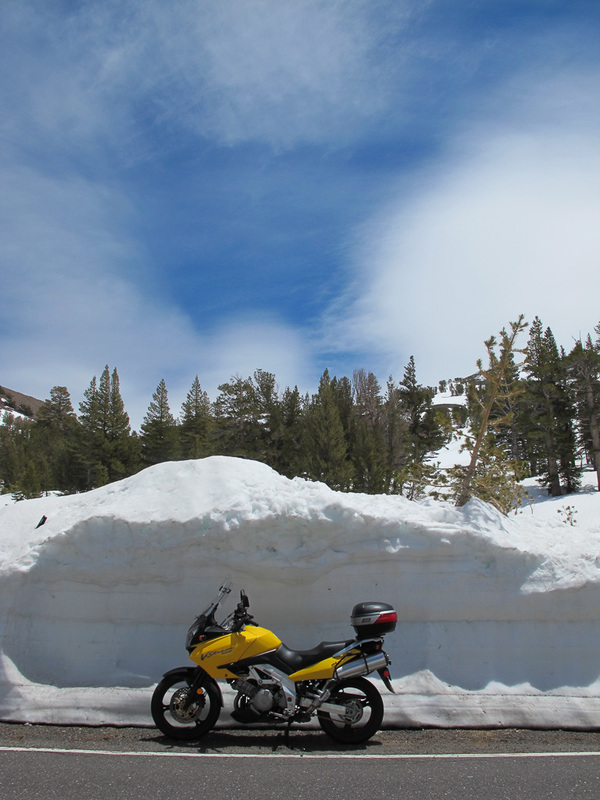 My fascination with snow and mountains only increased as I got more comfortable on the V Strom. Sometimes in early April after a fresh snow with near 70° temperatures in the Sierras, you find the need to take a vacation day. It was great to ride up to South Lake Tahoe “for lunch.” Highway 88 is one of my favorites in California and with crisp snow all around it was that much better. 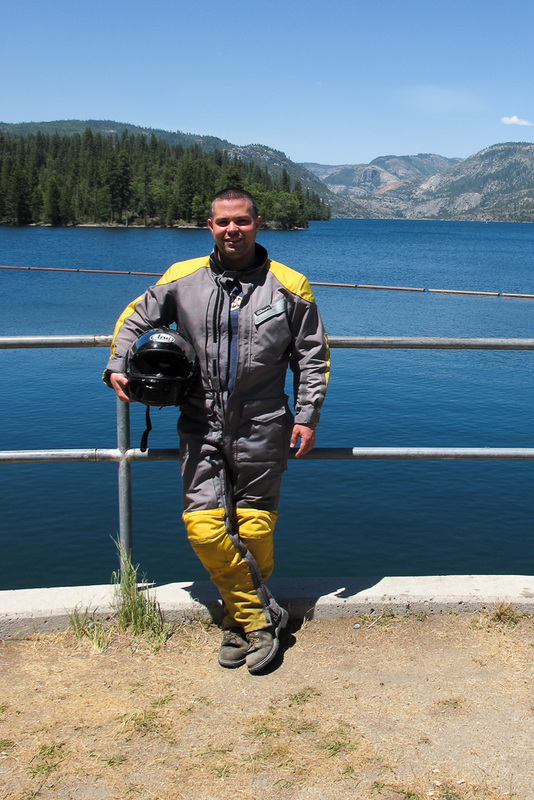 A couple of months later was one of my favorite rides chasing the opening of the passes and seeing most of the mid-Sierra Lakes surrounded by mountains cloaked in snow. The Mike and Dan ride grew this year in two ways. We decided to include a third day of riding. Almost 30 riders signed up. And on the second day, we had three different options for the group to foster smaller groups of riders. It was definitely a high for us and a lot to manage but a clear vote of confidence that we were good at what we did. We took the lost coast by storm. We crossed into Oregon. We had fun. 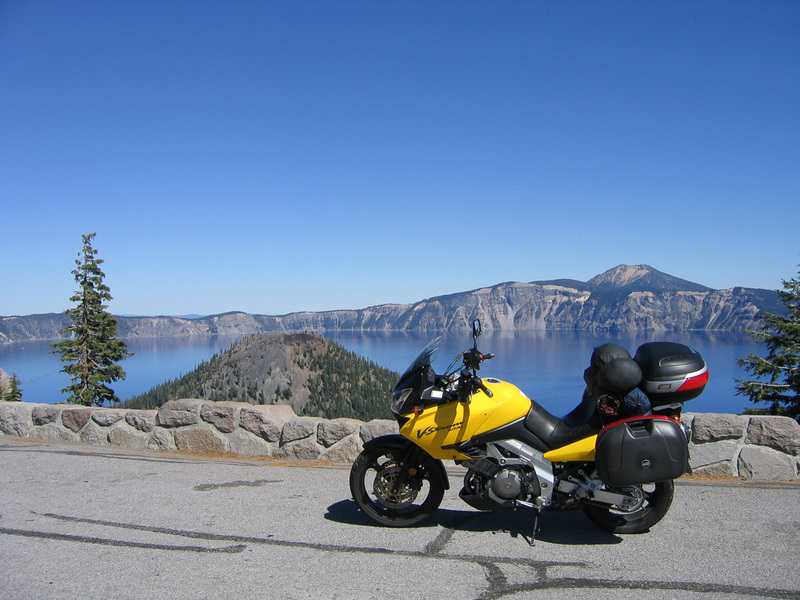 The next big motorcycle ride brought me back to Seattle traveling all over California, Oregon, and Washington. I was much more adventurous this time having more experience and another rider with me to help should anything go wrong. I’m not less cautious with other people, but being with people gives a sense of confidence in the adventure. Lost Lake near Mount Hood was one of the most beautiful scenes along the whole ride. Also, highway 20 crossing North Cascades National Park in Washington is one amazing piece of asphalt. A 65 degree day in the Sierras on a Tuesday! Eastern Sierra Lakes tour.. one of my favorite rides. Z and I – Smile! North Cascades Highway aka Washington Highway 20 – amazing asphalt! This was a tough year for me. With the loss of the key relationship in my life, life became really hard really fast. Additionally I was coming out as a gay man and life turned itself on its head. Sometimes motorcycling was freeing and other times it surfaced difficult memories. It was the first time I really considered selling my bike and moving on to a different hobby. I had nearly 60,000 miles on the clock but I didn’t have the same continuous passion for it that I used to. The highs on the bike were really high and the lows were really low. It was a painfully difficult season for both of us as we both enjoyed motorcycling at a very deep level and didn’t understand how we’d do it apart. This year was the last year for the Mike and Dan ride as Mike went full-time into dirt bikes. This year’s ride: Coast and Volcanoes ended us on a high note. It was four intense days of riding all over California focusing on the volcanic regions and the well loved coastal return to the Bay Area. We covered miles and generated many smiles on that ride. Even today, thinking about it brings about warm memories of the trip. It was almost 1200 miles through some amazing backcountry. It was also time for me to explore new riding groups. My boss at the time was an avid motorcyclist and had asked me if I wanted to go on his annual ride. Last year I knew I wasn’t fast enough to ride with them, but this year I was looking for a new crew to call home. 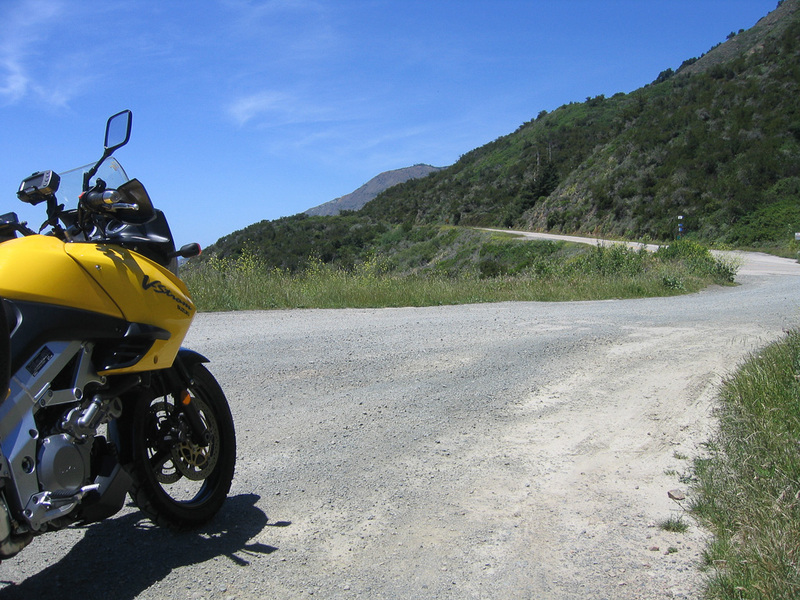 Once we got into the twisties headed up Mount Hamilton, I saw them in the first turn. I barely saw them in the second turn. And by the third turn – they were gone. A little later we got lost and wound up on a dirt road. 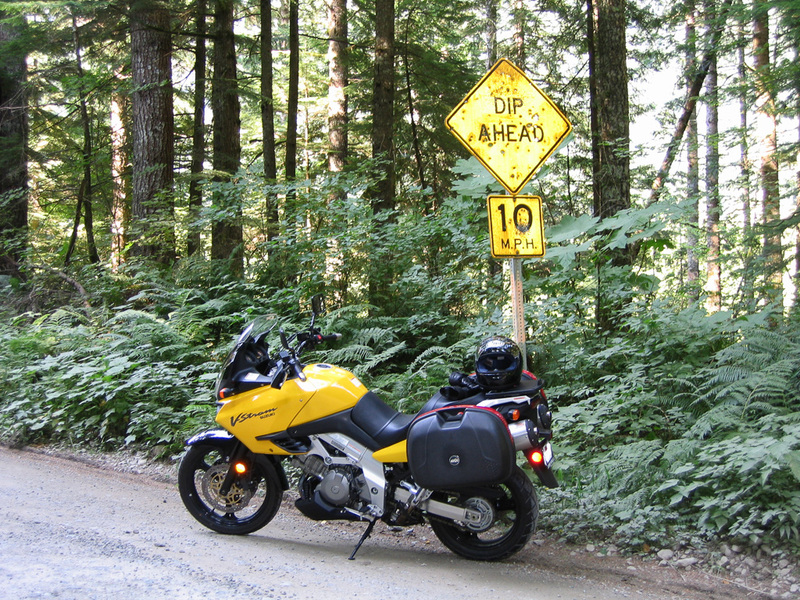 Where I was trailing before, the V Strom shone through and I was leading the ride the dirt. The sport bikes weren’t pushing to keep up :). 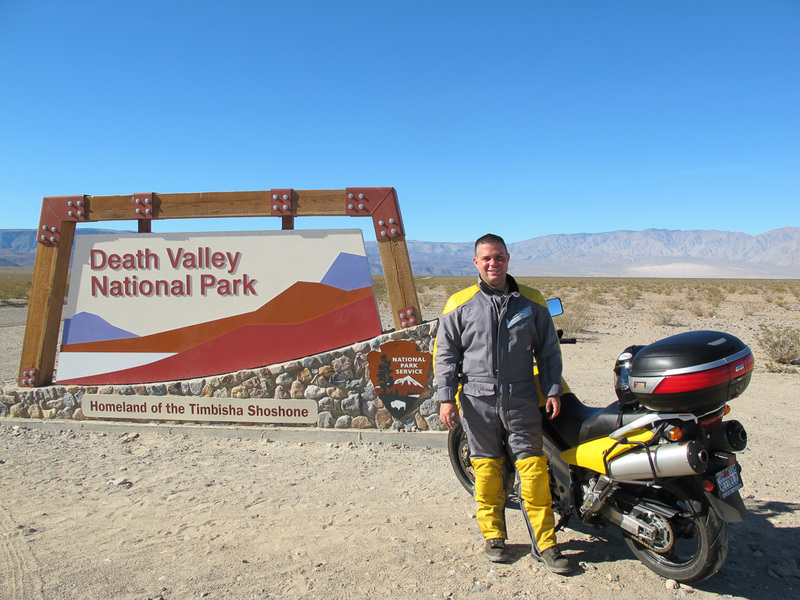 A friend of mine who I knew from the Mike and Dan ride in 2008 suggested I attend The Queer Invasion of Death Valley (ride page). 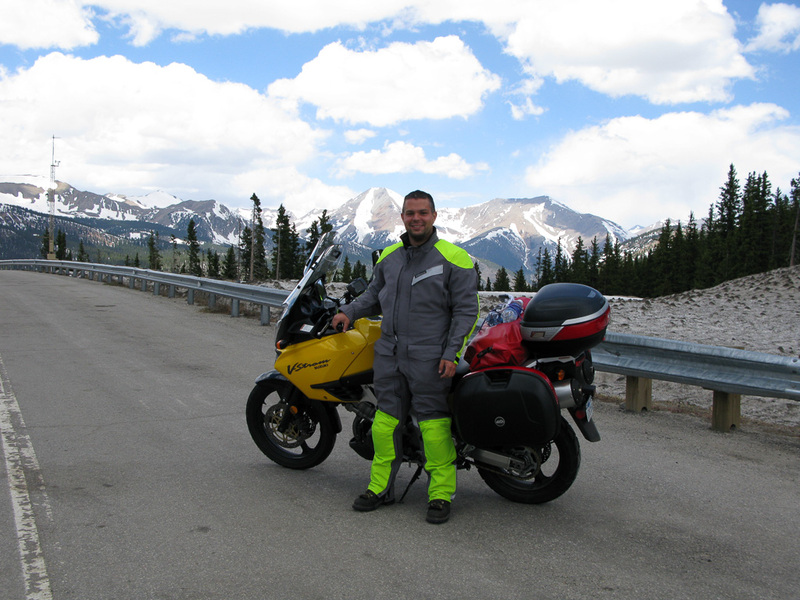 It was a first step for me coming out in motorcycling. I didn’t really know any gay riders and he knew that this would be good for me. It was definitely a pivotal weekend for me in motorcycling. My eyes were opened, my horizons were broadened, and it was a lot to take in. I now knew a set of folks who were gay in my own backyard. 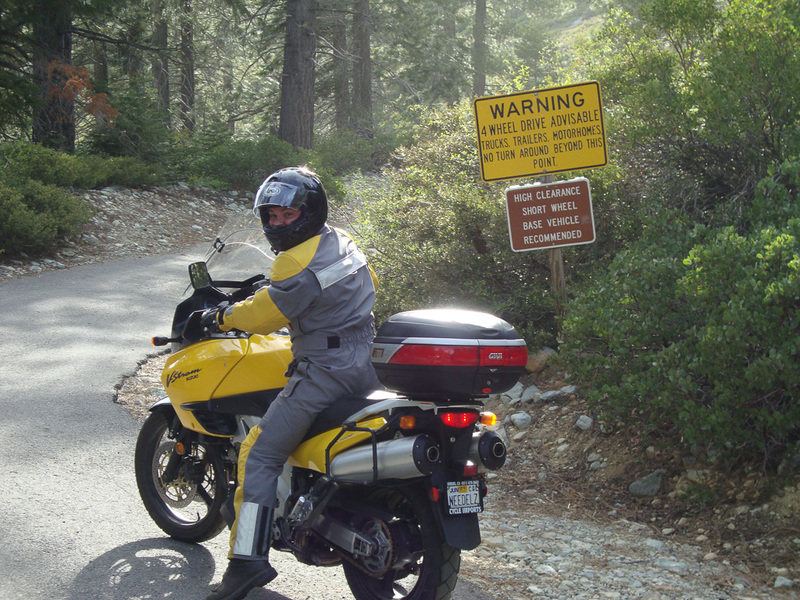 Santa Rosa Creek Road – an epic in motojouralism! 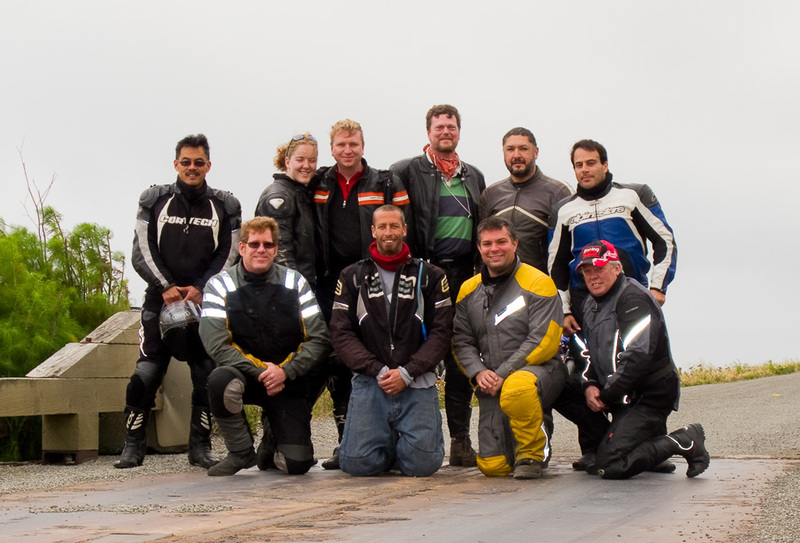 This year was all about rebuilding community for me inside of motorcycling. 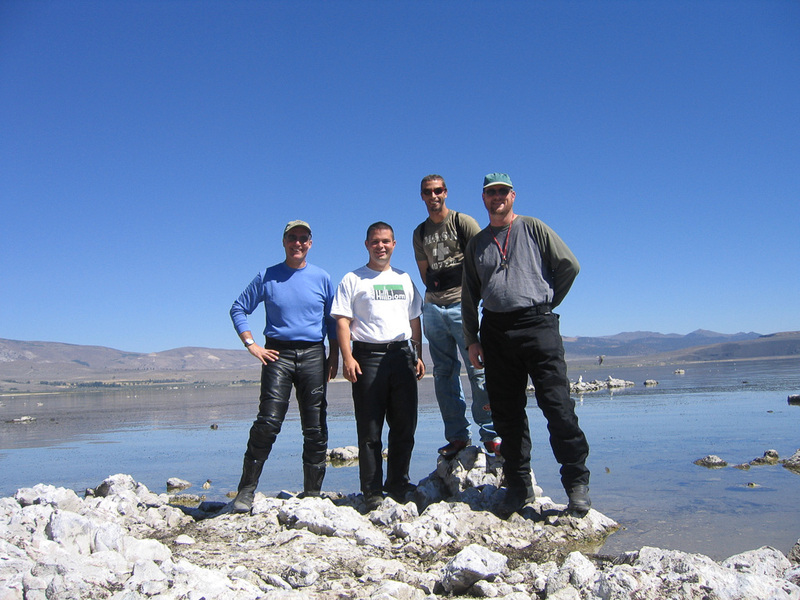 The Queer Invasion of Death Valley (my 2011 experience) opened my eyes to a new motorcycling group in San Francisco called Homoto. A number of the guys were really sharp and liked to do the same type of riding I did. Being based in the South Bay been having rides start in San Francisco I always had the extra 100 miles on top of an already long day. Hey, it definitely made me a better rider over long distances :). At the start of the year, I met a really good friend down in Paso Robles. It couldn’t have been a colder ride down Highway 25 and back up the coast. The high that day was barely in the forties. God bless heated gear. I was starting to meet people with whom I really connected. Coming out in a lot of ways challenges your view of yourself, the world, and makes you think about you surround yourself with in a whole new way. Ross has become one of my closest friends over the past few years and well worth a snowcapped ride up the coast. The Bridgeport ride this year was super fun. 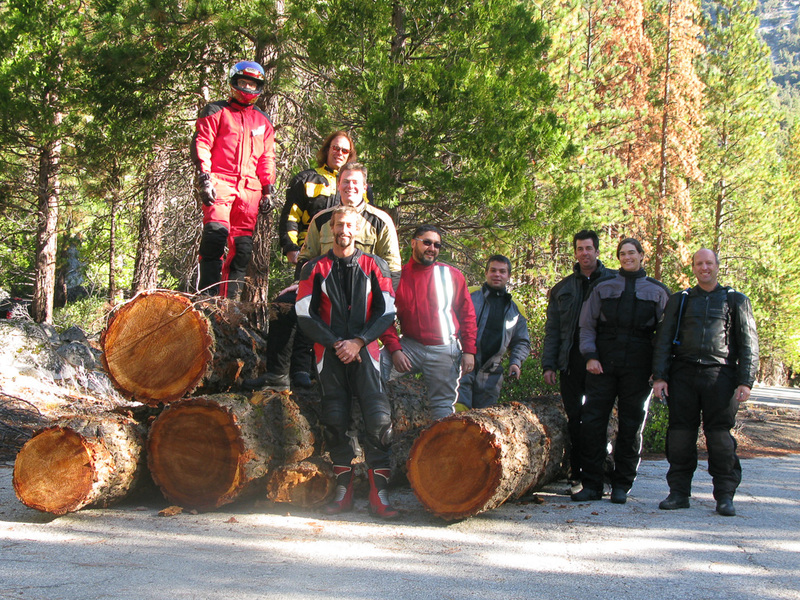 It was great to be deep in the Sierras during the fall amongst many of the people with whom I used to ride regularly. It was the first time also sleeping in a covered wagon. It was truly one of those random experiences that sticks in your memory for a very long time. Meeting Ross – I don’t think it was above freezing the whole day! I fought the dirt and the dirt won! After a year in Homoto San Francisco, I wanted to start something down in San Jose. I wanted to meet other riders in the South Bay and build community down here rather than commute to San Francisco. Every club has the ride it’s known for. Homoto San Jose that year began the “Mid Winter’s Tour.” This would become the annual ride for the club down to Paso Robles. January was an excellent time to go is the central coast usually had more moderate weather than we do here in the Bay Area. 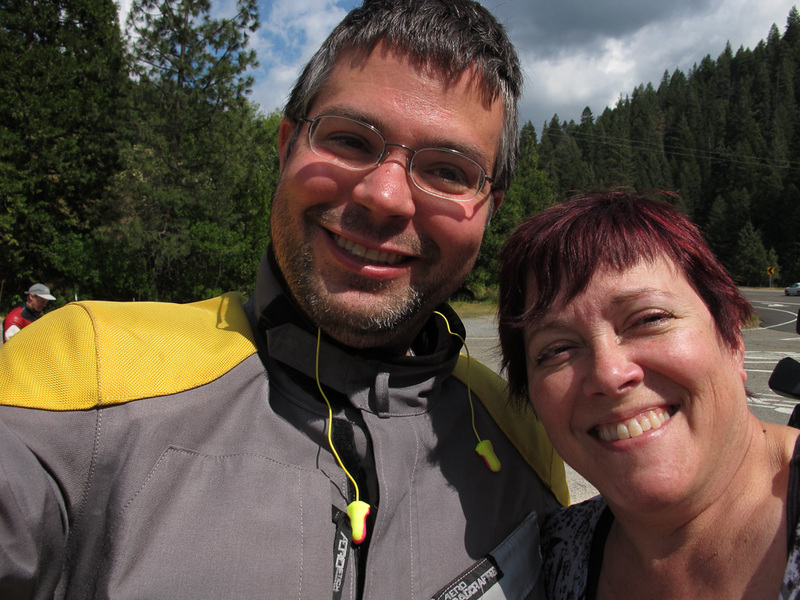 This year’s THE MOTO had a very small presence from Northern California: ZZ and I. 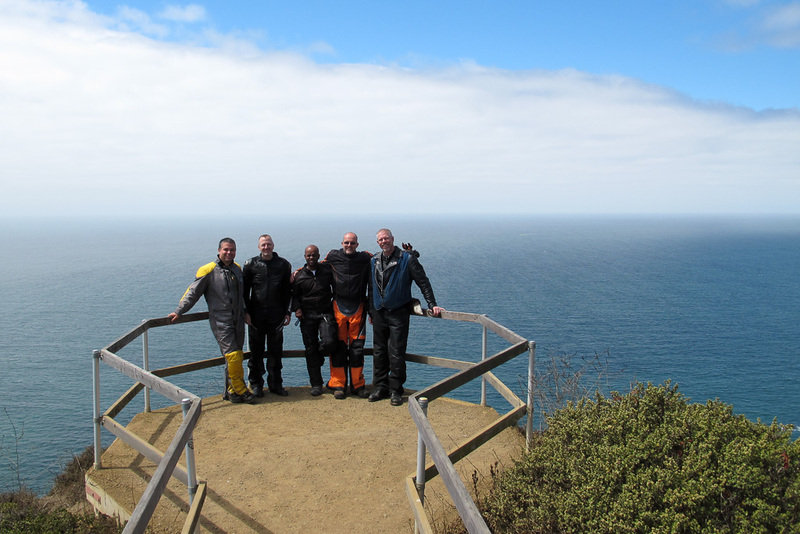 We never caught up with the group from Southern California and decided to go our own way. As always there are beautiful sunsets in the Sierras, and great lakes to see all over the mountains. Sometimes small, nimble groups make for great traveling. The BMW rider’s of Northern California puts on an epic ride called Range of Light. What makes the Range of Light ride special is that riders don’t know where they’re going. All they know is the start point. Each day the organizers pass out the ride for that day. It was definitely an interesting way to travel. A week or two before the ride I met Nick at a bar. He was from England here on business and had nothing to do for Labor Day weekend. At the spur of the moment I said, “Hey, why don’t you come along on this ride?” It was another step for me riding 2–up with another guy in mixed company. Looking back on it, of course there were no issues. But each new experience strengthens me as an individual and gives more confidence to move forward in life. Kickoff of Homoto in San Jose! T and I – I’m so blessed to know Tyler. This year I took a new job in San Francisco. I also made the transition from engineering into marketing. I was spending a significant amount of time on the road. Thus, when I was at home I was usually doing chores that I had neglected during the week due to travel. I didn’t ride much this year aside from riding to work on the expressway. The members of Homoto voted me in as president of the club. It was a great experience to lead the organization and learn from the members. My focus this year was on growing the club, fixing some of our process issues, and investing in the board. I was definitely more of a bureaucrat than a rider, but it’s where I felt most effective in the organization. It was also the start of a new tradition: the Memorial Day Mingle! The most memorable ride of the year for me was Labor Day weekend. My niece sent me a Flat Stanley. Each kid designs a Flat Stanley on paper and send them to a distant relative. The relative then photographs Flat Stanley in a memorable location where they live. 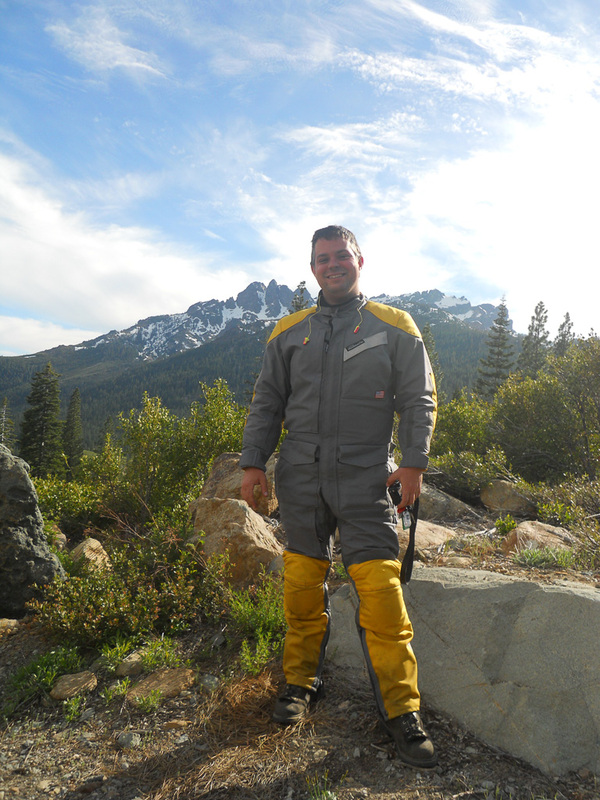 Wanting to be the cool uncle, Flat Stanley and I traveled all over Northern California by motorcycle. It was affirming to hear that my niece’s Flat Stanley was well received in third grade! At the start of 2014 I had to put my motorcycle in storage. 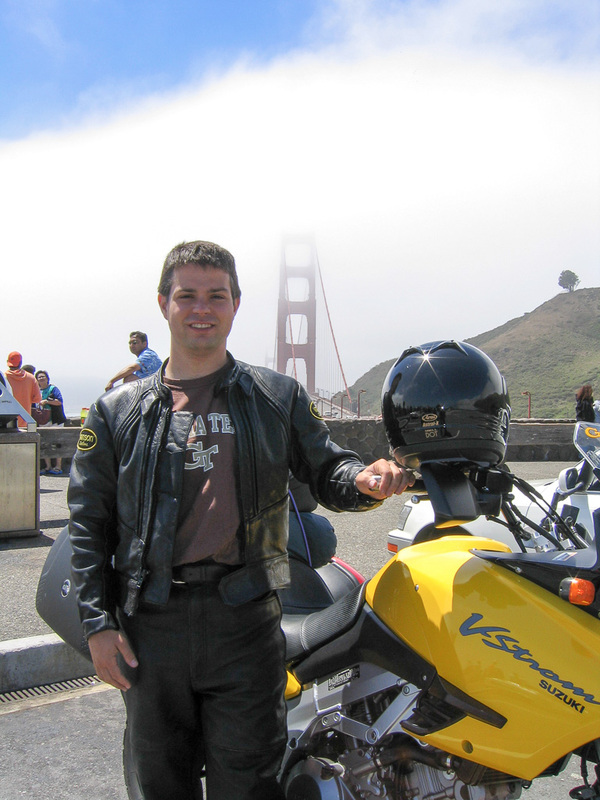 I was headed to Sydney for three months and wasn’t able to take the motorcycle with me for such a short duration. I had a goal of riding that motorcycle 100,000 miles when I got the bike new. It was a bit of an emotional experience leaving it in my friend’s garage but new adventures were ahead like motorcycling across the southeast corner of Australia. Coming back to the States it was nice to be reunited with my bike. The lack of use required all the fluids to be flushed as the hydraulic fluids collected a lot of water during my absence. The Memorial Day Mingle was my contribution to the culture of the club. 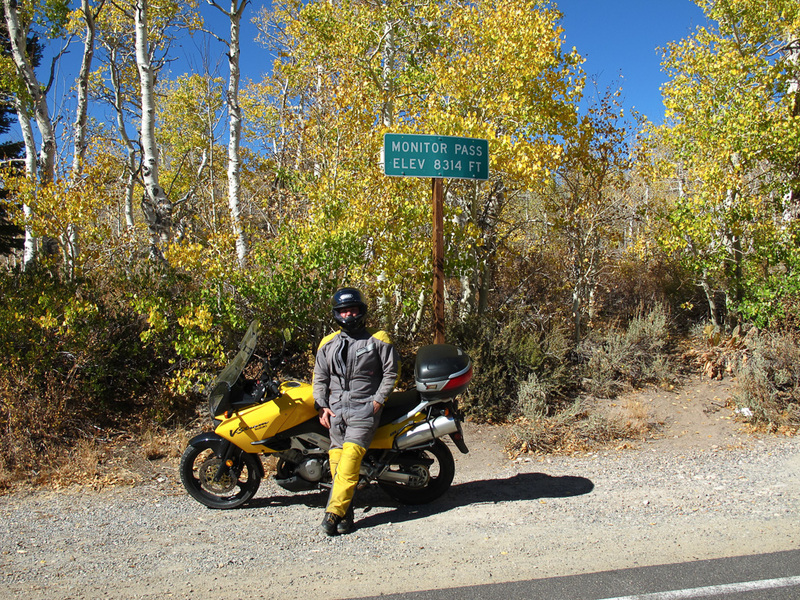 Started in 2013, it was the kickoff ride of the season for us and other clubs to explore the Sierras, much like The Queer Invasion of Death Valley. Having been outside of Northern California for an extended period it was exceptionally sweet to enjoy the Sierras on this ride. 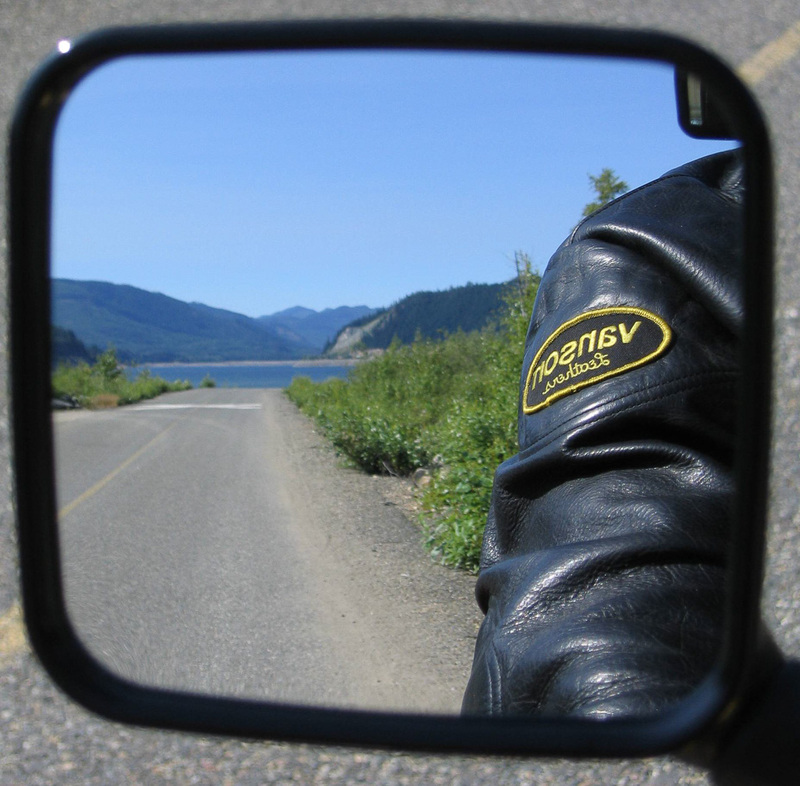 Work travel still consumed a fair amount of time so 2014 wasn’t a big year for riding either. 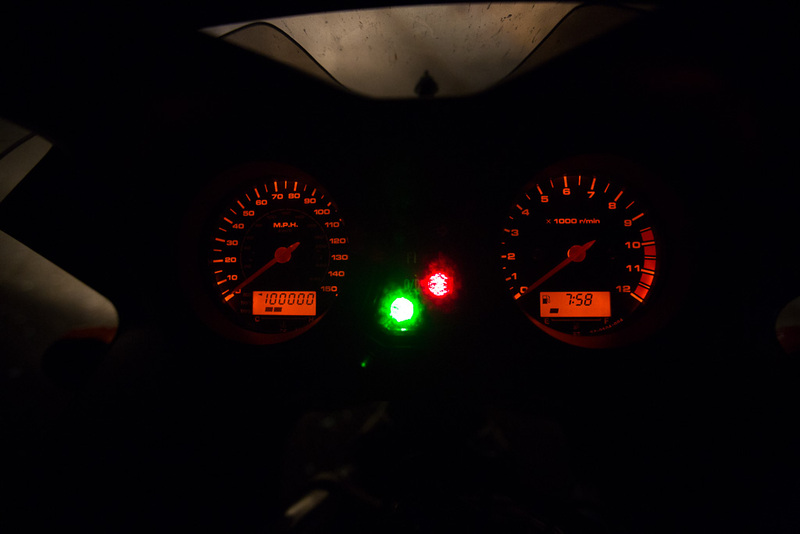 As the year wore on, the V Strom accrued more and more miles. I wanted to have the bike roll over 100,000 miles in some amazing spot. 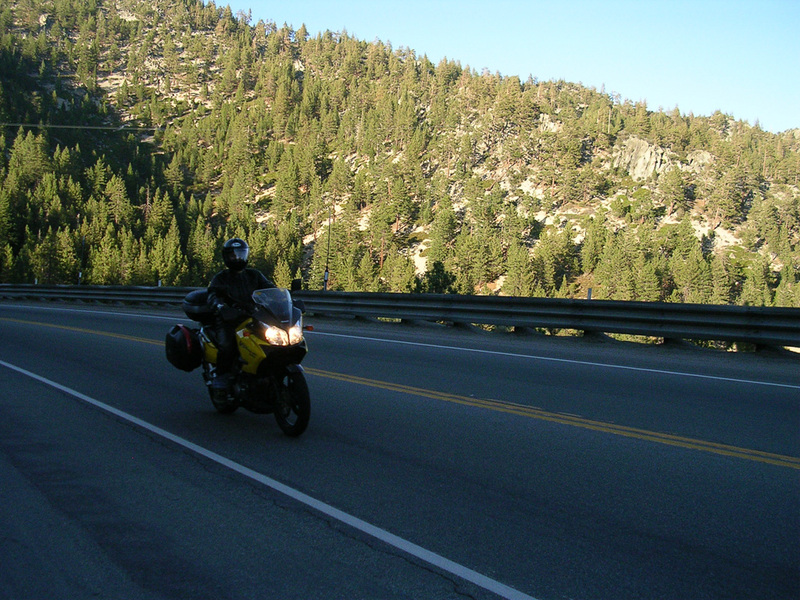 I had an excellent weekend ride in Lake Tahoe and Reno in early September. I was thinking somewhere in the Sierras might be a good place. When I was thinking of moving to Colorado in 2011, the redwoods tapped me on the shoulder as a memorable place in California. Maybe I should go see the tall trees again. I had to meet a client for work down in the South Bay. It was the perfect day for riding a motorcycle. 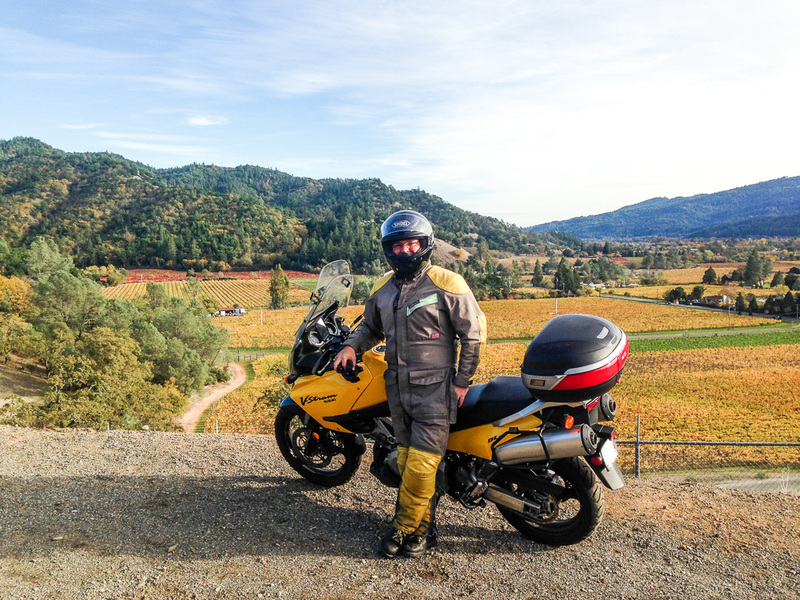 A lot of me just smiled and said, “you know… some days are just meant for riding!” Scenic spot be damned, I was headed down to San Jose. 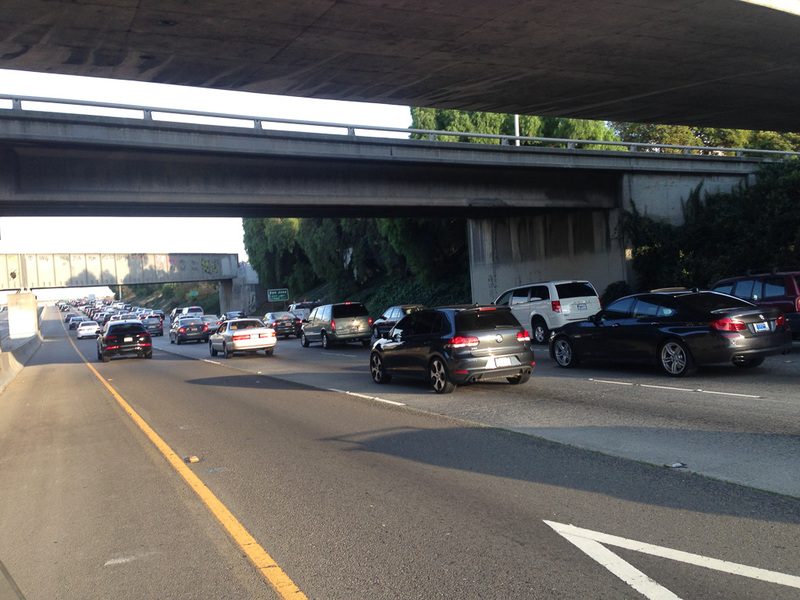 I got stranded in traffic… not quite the romantic rollover to 100k. The client I met also had an interest in motorcycles so the two of us talked about our journeys. He was impressed this was the day my bike was going to roll over 100,000 miles. 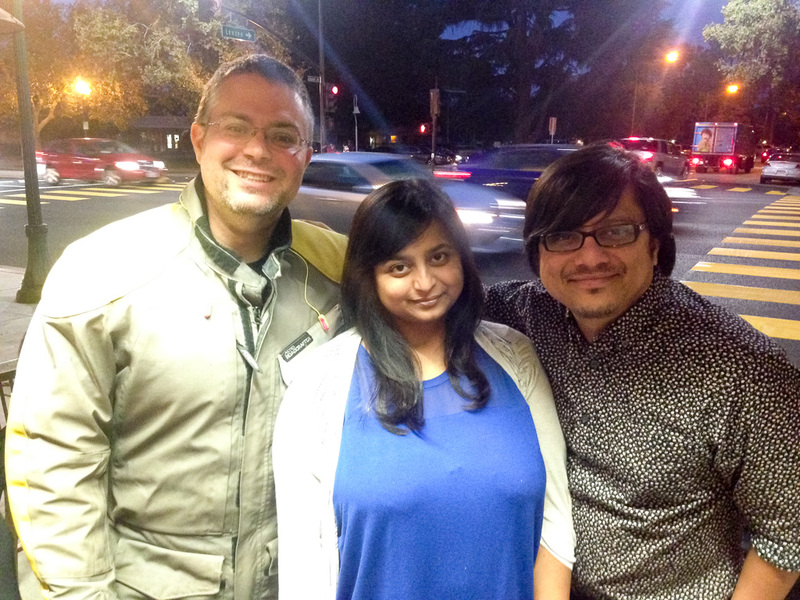 I was able to schedule dinner with two dear friends of mine, Brinda and Anshul, who I’ve not seen in a very long time. It was great to celebrate with the two of them. They’ve blessed me in so many ways I’m glad to count them both as friends – even if we don’t get to see each other as much as we used to. I’m not sure what’s next for me in motorcycling. Will I sell the bike? I’m not sure. 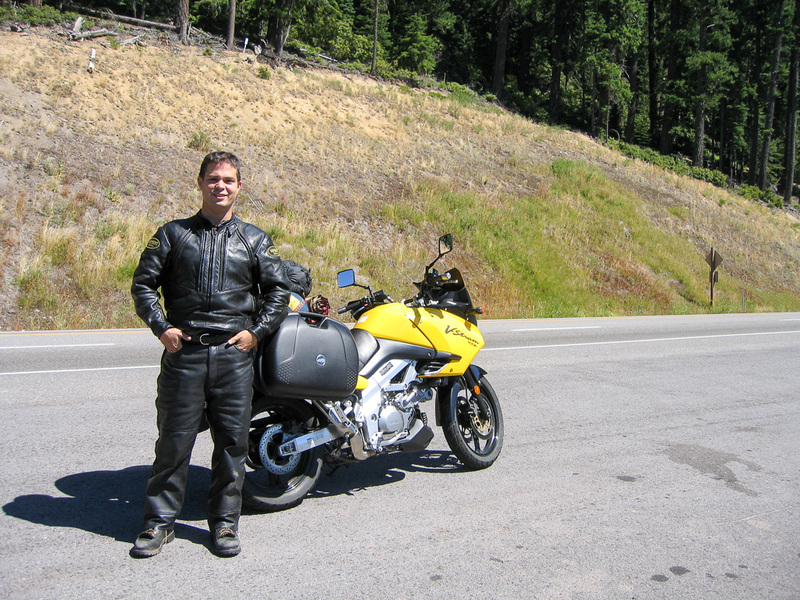 Most people consider 20,000 miles on a motorcycle “high mileage.” The bike is a little softer than he used to be, but so am I. I still like riding the V Strom. I’ll keep doing it until something changes. Thats AWESOME!!! although I ride a different style, I LOVE to see anyone with the love of the sport I truly crave!!! The pictures are fantastic!! Keep your wheels down brotha!!! and keep riding. What a great article. Thanks for taking the time to share this. Congratulations Dan, I really enjoyed learning more about your journeys both on and off the bike. Such great pictures! It is pretty amazing and I know you spent a lot of time working on this and sharing such personal experiences. A window into your life. Well written and great photography. Way cool! Good stuff Dan! Hundreds of thousands of more (s)miles to come I am sure! Congratulations! 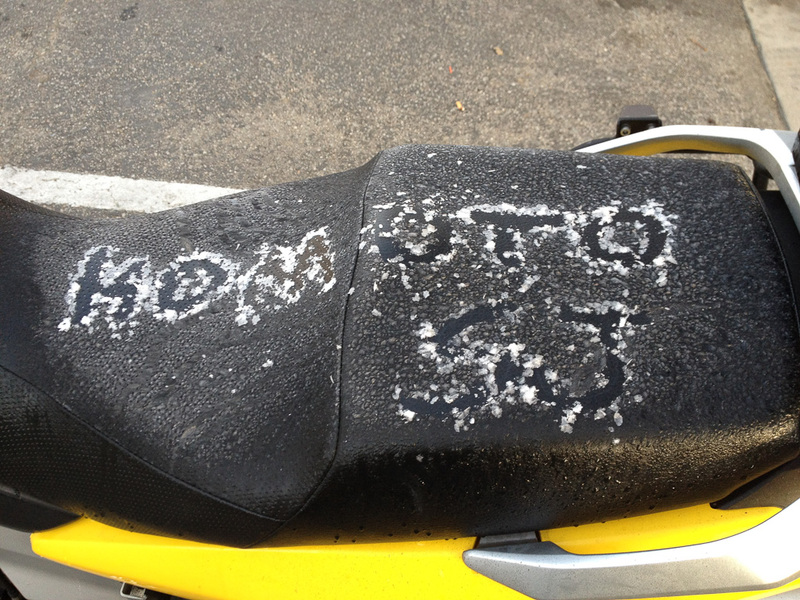 Very cool – ride safe and Strom on! Awesome photos, great to see another rider out enjoying his bike and helping build a better biking community! Keep it up! What a great story! Just the right amount of information for each year. And some great photos! Thanks for sharing your history and best wishes in the future for many more great miles of riding!